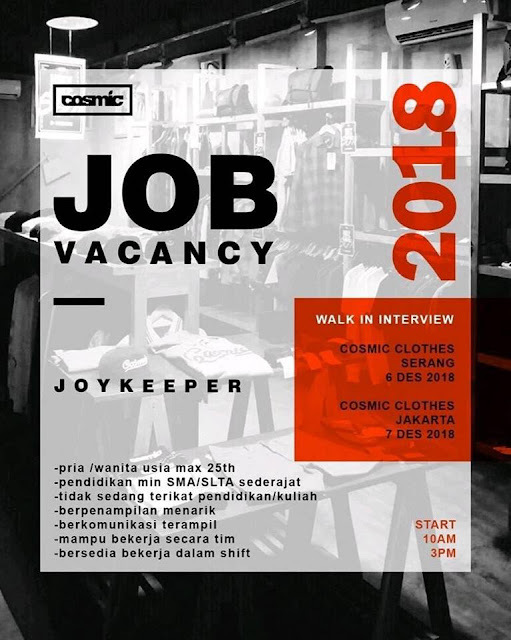 Cosmic, is a fast growing clothing company which provides high quality and exclusive apparels and was established on September 1st, 2001 under the umbrella of Injoynesia Corp.
Our mission is to become the leading youth apparel company in Indonesia; to bring our lifestyle message of joy, independence, creativity and innovation to this global community; to be a place for creativity in music, fashion, art, sport, education, social and culture. Currently, our distribution has spread to many major cities in Indonesia such as Bandung, Jakarta, Surabaya, Jogjakarta, Bali, Makassar, Palu, Balikpapan, Padang, Palembang, etc. Moreover, these products have been exported to Singapore, Malaysia, Brunei, Australia, and many other countries. COSMIC™ is what we call fun!